Thank you for reading 5 free articles on our site. You can come back at the end of your 30-day period for another 5 free articles, or you can purchase a subscription and continue to enjoy valuable local news and information. If you need help, please contact our office at 712-263-2122. We hope you will enjoy this free article on Denison Bulletin & Review. You're entitled to view 5 free articles every 30 days, and you currently have 0 remaining. Then, if you enjoy our site and want full access, we'll ask you to purchase an affordable subscription. Are you already a print subscriber? If so, call (712) 263-2122 or check your renewal notice for your subscription number to get signed up for unlimited online access for free as part of your subscription. We hope you will enjoy this free article on Denison Bulletin & Review. You're entitled to view 5 free articles every 30 days, and you currently have remaining. Then, if you enjoy our site and want full access, we'll ask you to purchase an affordable subscription. Are you already a print subscriber? If so, call (712) 263-2122 or check your renewal notice for your subscription number to get signed up for unlimited online access for free as part of your subscription. Enjoy the benefits of the printed paper without the wait, online. Your account number can be found on your subscription renewal notice. If you cannot locate your account number, please call our office at 712-263-2122. Overcast. A stray shower or thunderstorm is possible. High 79F. Winds S at 15 to 25 mph.. Variable clouds with scattered thunderstorms. Low 57F. Winds SSE at 10 to 15 mph. Chance of rain 60%. At 6:55 p.m. on December 29, Andrew Nippert was arrest on a Crawford County warrant. At 2:03 a.m. on December 30, Craig Lutz was arrested for OWI, 1st offense. At 2:13 a.m. on January 1, Axel Stalyn Perez Zuniga, 22, of Denison was arrested on two Crawford County warrants. At 7:03 a.m. on January 1, Marna Bol Chatkuach, 25, of Denison was charged with operating while intoxicated, second offense and driving while license denied or revoked. At 7:14 a.m. on January 2, Krista Raye Barry, 37, of Manilla was arrested for driving while license suspended. A dog bite was reported at 10:59 a.m. on December 30. One December 26, a dog belonging to Kirsten Vary bit a delivery man in the right calf. The delivery man sought medical attention on December 27. The dog was impounded for observation. At 1:20 p.m. on January 2, Deann Hanson reported vandalism at 107 Cedar Avenue in Charter Oak. Sometime the night before unknown subject(s) threw what appeared to be chocolate milk on the door handles of the driver’s side of two vehicles that were parked on Cedar Avenue. No permanent damage was done to the vehicles. Milk was also thrown on the side of the driver’s door of both vehicles as well. At 5:20 p.m. on December 27, Merly Carolina Valladares-Villatoro, 26, of Hawthorne, CA, driver of a silver 2002 Toyota, was westbound on D Avenue and County Highway E-16. There was a freezing drizzle and a strong wind blowing and ice was on parts of the roadway. Valladares hit a slick spot on the roadway and went into the north side ditch, rolling the vehicle twice. The vehicle came to rest on its top facing east. The driver complained of pain in her neck and was transported to Crawford County Memorial Hospital in Denison by her brother who was following her in another vehicle. Due to weather and road conditions, the vehicle was not moved until daylight. The vehicle received approximately $8,000 in damages. At 11:40 a.m. on December 28, a five-vehicle accident was reported on Highway 30 and 4th Avenue South and South 16th Street in Denison. Brian James Healy, 40, of Denison, driver of a white 1999 Infiniti, was eastbound in the left lane of Highway 30 in Denison attempting to turn onto 16th Street. Justin Adam Koski, 44, of Manilla, driver of a white 2013 Chrysler Town & Country van, was in the right lane of westbound Highway 30 approaching 16th Street. Koski swerved to avoid striking Healy’s vehicle and ran into the front of a tan 2008 Cadillac Escalade. Healy struck the right front of a red 2014 Ford Fusion owned by James Gene Buss, 58, of Denison, which was parked and unattended. Healy continued northbound, striking the right front of a 2008 Dodge Caravan driven by Thomas Charles Zimmer, 61, of Vail. Healy was charged with failure to yield left turn. Healy’s vehicle sustained $8,000 in damages and was totaled. Koski’s vehicle sustained $7,000 in damage and was disabled. Buss’s vehicle sustained $1,500 in damages. The Cadillac sustained $3,000 in damages and Zimmer’s vehicle sustained $2,000 in damages. At 6:55 a.m. on December 28, Dawn Berrier reported she hit a deer with her vehicle on Highway 39 in Denison. 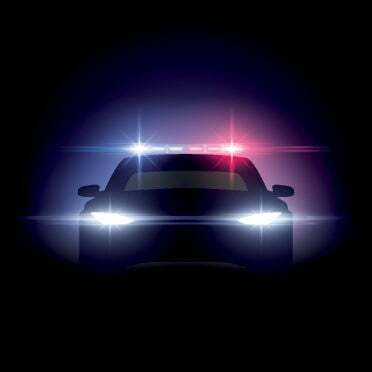 At 8:26 p.m. on December 29, Rachel Ann Wight, 44, of Charter Oak, driver of a yellow 2014 Chevrolet Spark, was traveling south toward Denison on Highway 39 when two deer entered the roadway and she struck them. There was approximately $1,500 damage to the passenger side and hood. No injuries were reported and Wight was able to drive her vehicle away. At 5:09 a.m. on December 31, Mark Alan Garrett, 54, of Dow City, driver of a yellow 2007 Kenworth, reported a hit-and-run at the Highway 59 and Highway 30 intersection. Garrett was traveling northbound on Highway 59 and was at a stop. It was his turn to move forward and as he did, a red SUV was traveling south and was at a stop sign and moved forward and collided with Garrett’s Kenworth at the intersection between Highway 30 and Highway 59. The red SUV did not stop to exchange information and the SUV’s driver failed to provide information at the accident and left the scene of the accident. There was $4,000 damage to Garrett’s Kenworth. At 6:25 p.m. on January 2, Derek Joseph Bruck, 29, of Manilla, driver of a black 2013 Chevrolet Silverado pickup, reported an accident with no injuries at 43 North 22nd Street. Robert Wamemunde, 62, driver of a gray 2017 Lexus, stated he was parked on the east side of the road, which is marked as a no parking zone. Bruck backed out of the driveway and rear-ended his vehicle. Bruck’s vehicle had no damage. Wamemunde’s vehicle had $1,500 damage to the left side of the rear bumper but the vehicle was still driveable. Wamemunde was issued a ticket for parking in a no parking zone. At 1:21 p.m. on January 2, a motor vehicle accident was reported at the intersection of Broadway and Main in Denison. A maroon 2006 Chevrolet Trailblazer was legally parked south of Crawford County Bank and backed into the door of a silver 2005 Dodge Dakota pickup that was in traffic and stopped at a red light. Juan Barragan, 59, of Denison, was driving the pickup. The Chevrolet received $100 in damage and the Dodge received $3,500 in damage. To view our latest AdVisor click the image on the left. To view our latest Today's Action click the image on the left.